���� Located in the Fish Creek Ranch Preserve, Homestead 7 offers a unique ownership opportunity in one of Wyoming�s beautiful mountain ranches.� Situated in southern Wyoming just across the Colorado border, this luxury ranch is approximately 20 minutes south of Laramie and 45 minutes northwest of Fort Collins.� The ranch encompasses 4,242 acres +/- of which there are 14 homes sites averaging 35 acres apiece and the remaining 3,752 community acres set aside for a private game preserve.� In addition to the ten homes built in this private community, a variety of wildlife have called this pristine property home including Mule Deer, Antelope, Bear, Grouse, Beaver, Moose and�large Elk herds.� In the five stocked ponds on the property that are fed by Fish Creek, there are excellent fishing opportunities for Brook and Rainbow Trout. Purchasing one of the homesteads in the Fish Creek Ranch Preserve not only gives you 35 acres of highly desirable recreation ground, you also receive a 1/14 undivided ownership interest in the community portion of the ranch which includes the ranch manager�s home, barn, equipment and acreage. ���� Homestead 7 is located on the southern end of the ranch and enjoys great views to the east overlooking the rolling grass covered plains.� A ridge begins to rise through property and is covered in a nice mix of grass, sage, wild flowers and timber.� With utilities to the property, this permit ready recreational paradise is waiting for you to build your dream home. 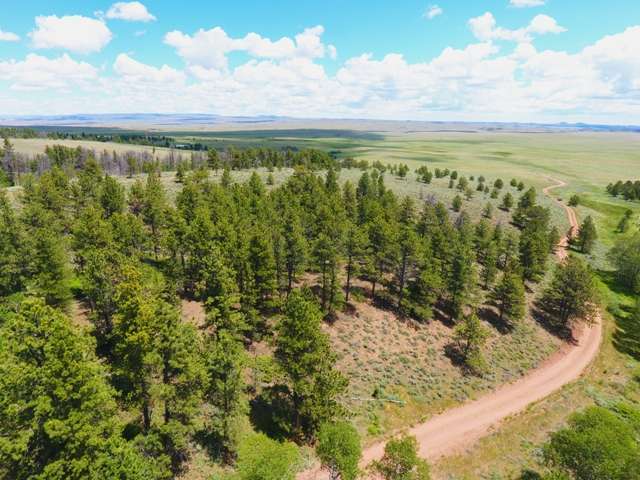 ���� The Fish Creek Ranch Preserve has�year round access and�is an easy 2 hour commute from Denver.� Bordering the ranch to the south are thousands of acres of the Roosevelt National Forest. �The 3,752 acres of shared property, stocked fishing ponds, abundant wildlife, hiking and riding trails have made the ranch one of the most relaxing and enjoyably ownership opportunities for the outdoorsman that you can find.� During the summer months, the ranch has horses available for the owners and guests to ride on the countless trails throughout the shared acreage.� A full-time resident�Ranch Manager is responsible for maintaining the ranch, caring for the horses, road maintenance, trail grooming, and�security of the private residences as well as the commonly owned preserve.� CLICK HERE to take a video tour throughout the shared acreage on the ranch! To arrange a time to view this spectacular private retreat in person call James Land Company today!